A quick thinking of you I made with a few challenges in mind. A closeup of the butterfly so you can see the ombre and sparkle! The card was finished pretty quickly. Starting with the background I used gray ink for a tone on tone background with a stencil. 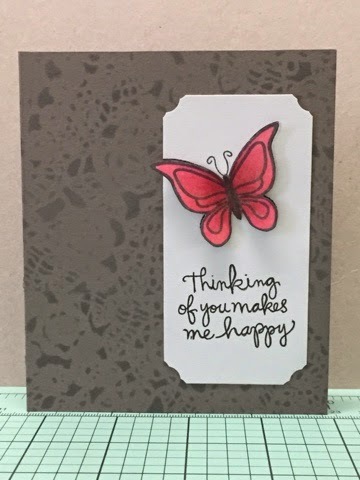 The panel was a scrap paper that I stamped with the butterfly and sentiment, then used a small circle punch to add the decorative corners. 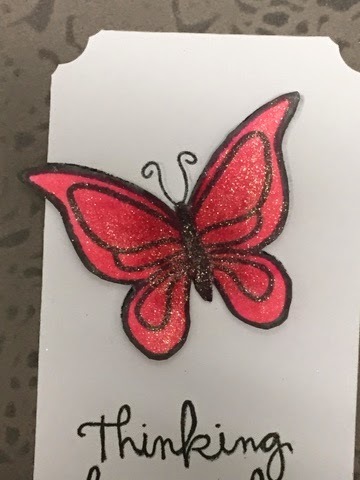 On another scrap I stamped and colored the butterfly again with some copics before fussy cutting it. It's glued to the panel by it's body while the wings are attached with foam squares for dimension. One the glue was dry I added clear Wink of Stella over the intire butterfly. Love the shimmer and the tone-on-tone background! So glad you joined us at Muse this week! Love your sparkly butterfly Monica! 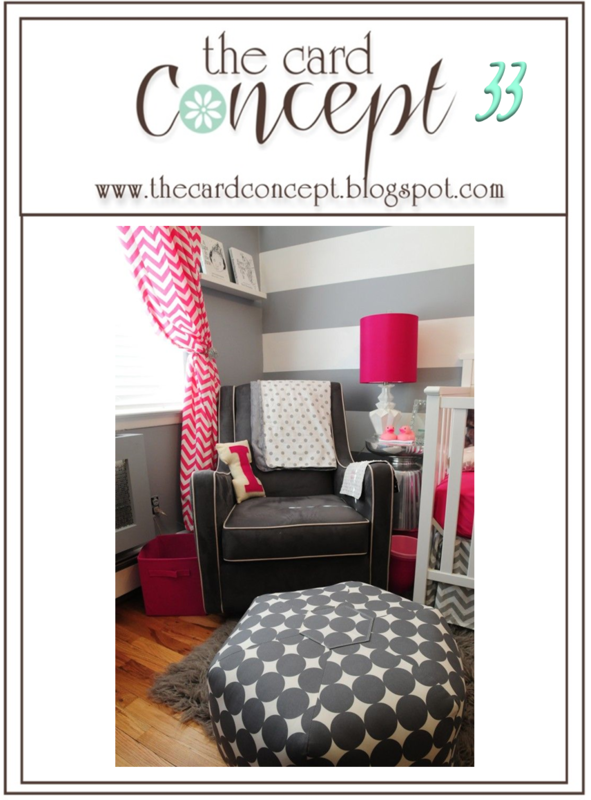 pink and gray is such a wonderful color combo and you really made it shine!! Beautiful Monica. I love your background. Such a pretty card. I love your gorgeous ombre butterfly. Thanks so much for playing along at CASology this week. Beautiful card Monica, the ombre butterfly is lovely. 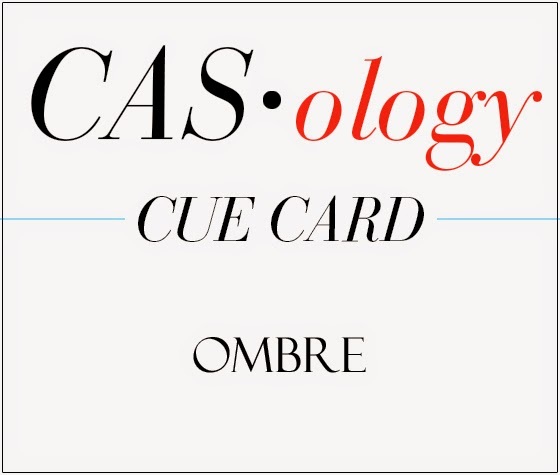 Thank you for joining us at CASology this week!